Barcelona boss Ernesto Valverde has heaped praise on Lionel Messi after his performance against Juventus on Tuesday night. The Argentine has started the season in superb form for the Catalan side, scoring an impressive five goals in three La Liga games and he added to that tally after netting two more against Italian champions Juve at the Camp Nou. 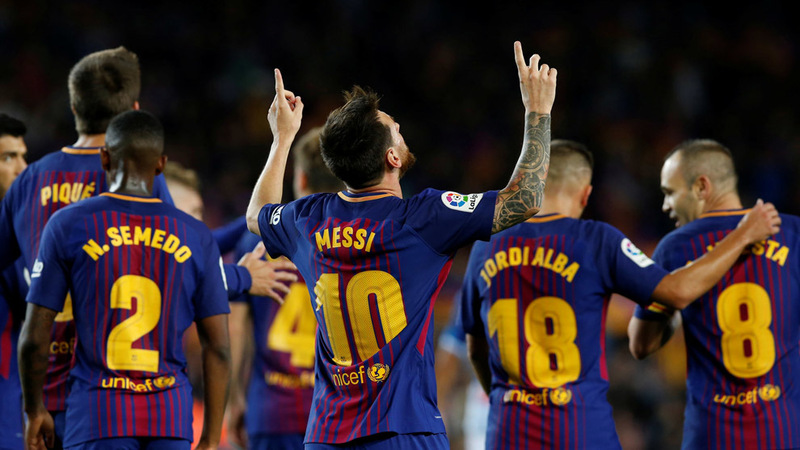 Messi now has seven goals in four games and his boss Valverde has discussed how he is enjoying watching the former Ballon d’Or winner perform. “You always think when he gets the ball that only good things can happen for the team. I suffered a lot when I had to face him and now I’m enjoying him. He was heavily involved in everything,” he told reporters after Tuesday’s game. Barca’s victory now sees them having won four out of four competitive matches this season without conceding a goal and Valverde heaped praise in his team collectively. “We played against one of last season’s finalists, we kept a clean sheet and we scored three goals. It was vital to get off to a winning start in the group stage, ” he is quoted in telling Spanish daily AS. Further to his comments, Juventus boss Massimiliano Allegri, who side lost to Real Madrid in last year’s final – admitted his side could do nothing about Messi and Barca’s dominance. He said: “He shot three times and scored two goals and hit the post. The former AC Milan boss did remain calm about the result, however, and said his side need to be stronger both mentally and physically. “I don’t think we’re going to have a problem. When we play against teams of this level we cannot allow ourselves to switch off. That’s the difference.